Halloween is here! So many kids (and adults as well) are looking forward to celebrating. In just a few short hours, doors will open to a constant parade of monsters, superhero’s, celebrities and demons expecting that much-anticipated treat. Many of us will be following our own traditions like watching horror movies throughout the evening, or perhaps enjoying the company of friends at that special Halloween party we were hoping to be invited to. I must confess, I was having a difficult time coming up with something to write about for this particular holiday. I thought about posting my favorite recipe for Graveyard Cake, Spindly-finger Cupcakes, or Frank-the-Mummy Hot Dogs. However, upon being inundated with wicked recipes from some of my favorite food blogs that were doing the very same thing, I thought twice. 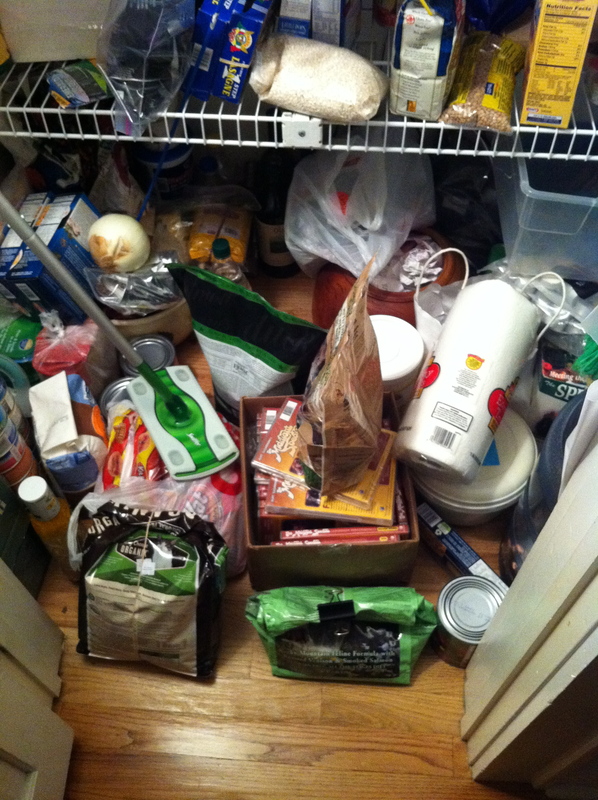 WHAT SCARES ME MOST OF ALL THESE DAYS IS MY PANTRY! That’s right. Just look at it! 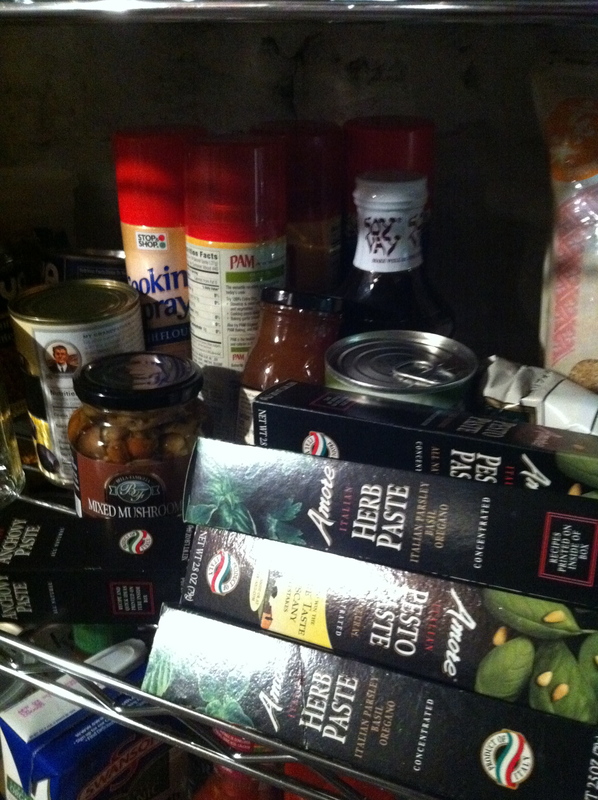 Overflowing with a host of food items purchased in moments of weakness that now threaten to fall on top of me and crush me to death as I unsuspectingly open the door to fish out a bottle of olive oil. That’s right, I have an illness, and I’m admitting it openly in this public forum. 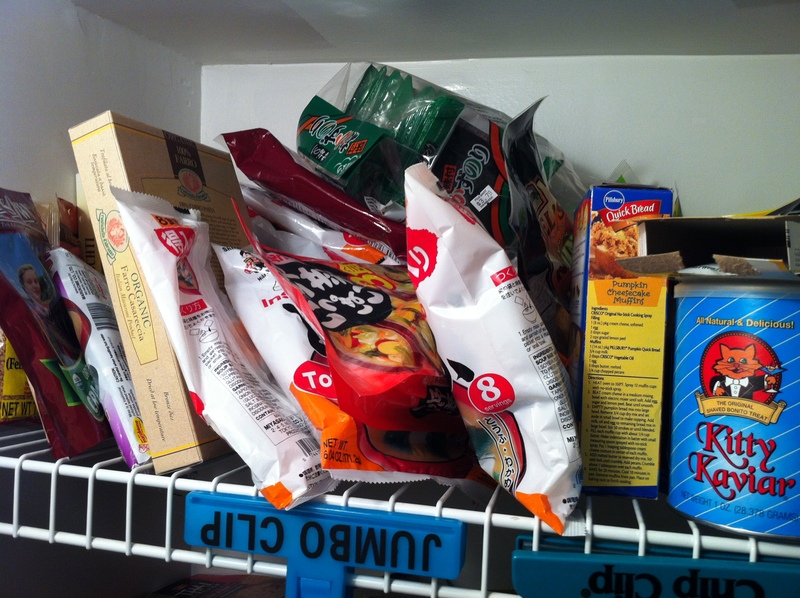 I don’t think the American Psychological Association has quite assigned a name for it yet, but I call it “Food- hoarders Syndrome”. Let’s see if I can sum it up for the APA; “Food-hoarders Syndrome (or FHS) is a poorly understood, complex psychological disorder characterized by hallucinations in and around the possibility of running out of food, thereby forcing the patient to purchase vast amounts of unnecessary food items and hiding them anywhere in their house in order to remove any delusions of potential starvation”. I thought I would take the second step in my four-step plan to combat this sickness (the first step being that I’ve actually admitted to having a problem), by actually cooking something using these pantry and refrigerated items! Since I had an enormous bottle of Apple Cider Vinegar hanging around after my last venture out to by milk (don’t ask), along with a mere ten pounds of green peppers that I just had to pick in addition to five bags of apples while at the Barton Farms located in upstate New York, and pickling salt purchased over the summer at a local farmers market, I thought I would attempt to preserve several jars of spicy sweet peppers for family and friends (parting with food; step three in my recovery). Combine vinegar, water, salt, and oil and bring to a boil. Simmer 10 minutes. Let cool slightly. Wash peppers, slice length-wise, discard seeds (or leave them if you want spicier mix). Wash apples, and slice thinly. Fill jars half way with peppers. Insert a layer of apple slices, about 4 or 5 slices. Fill jars to top with balance of peppers, leaving about 1 inch of airspace on top. Boil jars for 10 minutes following guidelines specified in method below. 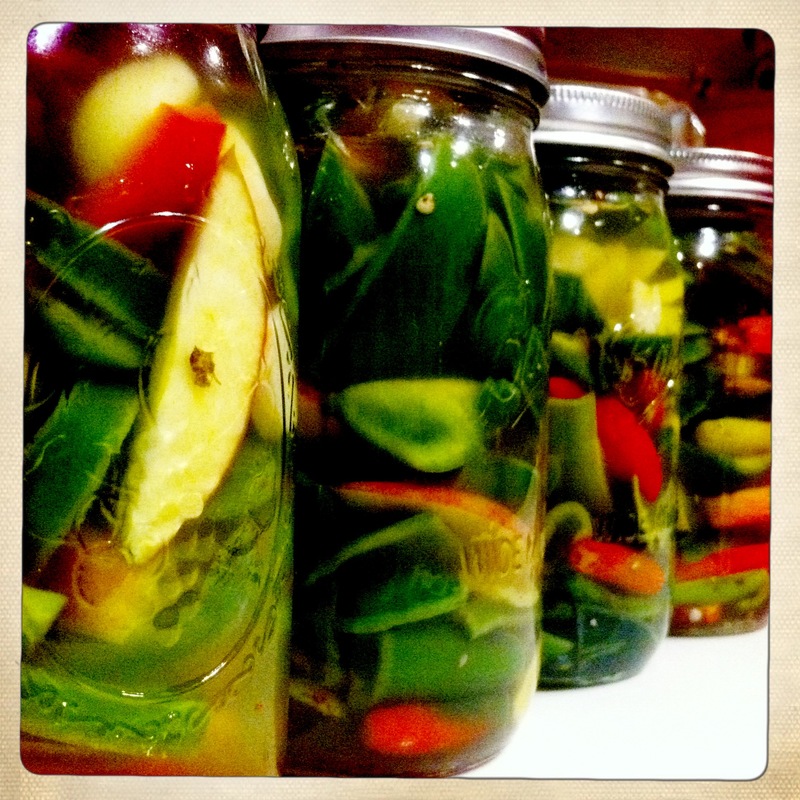 In order to safely pickle the peppers, I suggest you watch a short video clip on the Ball Jar website entitled Discovering Canning; Getting Started with Ball Canning. Note that it’s essential to follow food safety standards when canning and preserving in order to avoid botulinum bacteria. So far, I have distributed three jars of my pepper and apple combination. Step 4 of my recovery plan is successfully under way. I feel liberated! I feel free! Now if I could only figure out what to do with the ten cans of pumpkin puree I found on sale last week. One step at a time! Next Next post: Will You Mujadarrah Me?